First post, eh? It feels like I should do some kind of introduction, tell you what this blog’s about and so on. To be honest though, one of the things I’m looking forward to most is discovering new ideas, new writers and new paths that I hadn’t thought about. So perhaps I’ll just write something about where I am now. In April this year I completed my EngD with a thesis titled ‘The role of uncertainty in the design of informal space’. My studies explored how people respond to situations of uncertainty without trying to control them. On the surface the thesis has very little to do with technology despite the EngD being a joint programme between UCL School of Architecture and the department of Computer Science. I carried out an observational study of public spaces and an analysis of situations of collaborative design. I consider both of these situations to be examples of ‘in-between-ness’ (a topic for a post another day). Anyway, back to technology and data. I’d been working with technology for some years before starting the EngD, first in my degree in Interactive Arts (huge thanks to Roy Ascott and all at Newport School of Art and Design for this massively innovative course! ), then as a web developer, during my MSc in Virtual Environments and as a researcher at Media Lab Europe. I was aware that often technologists want, or need, to order an environment in order to operate. When it comes to public space however, I wondered what might be lost by this desire to order. My EngD thesis was an attempt to articulate an alternative. Yeah, yeah, I can hear you say, all very well, all very theoretically interesting (ok, that’s just what I hope you’re saying! ), but what do you mean by that? Well, everyday I make a tube journey to work and back using my Oyster card. Oyster cards generate data and that data forms patterns that can be interpreted in a way to reveal something about people’s lives. The same can be said for supermarket points cards and payments by debit or credit card. Undoubtedly these data trains reveal something about my life – where I’ve been, what I’ve purchased. But is that it? What – and who – is missing from this picture? What are the dangers of taking such data and using it as a basis for government policy decisions through ‘evidence-based design’? 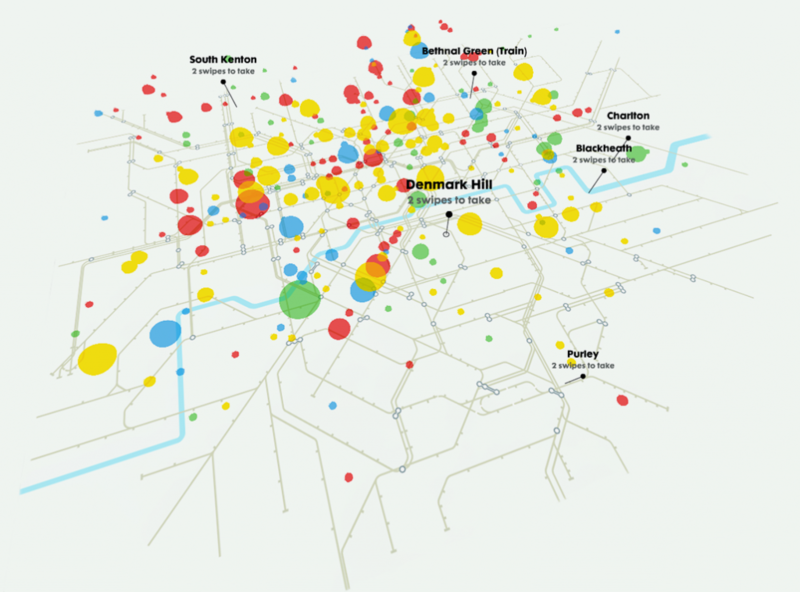 What am I missing – what don’t I know about in this world of big data and ‘smart’ cities? How do we balance the advantages and the risks? What does it mean to be a citizen in a city of data? Or to be data in a city of citizens? This is my starting point for what I want to explore in this blog…. I’m looking forward to it!